Today was filled with loads of birthday cheer! After I got out of class at 11am, I met up with Dan, Meghan and Caroline for Caroline’s birthday lunch. We had a very casual meal at Slurp, the restaurant on campus and everyone filled me in on the fun night that I missed. Today was also my mom’s birthday so once everyone had to go to class I walked up Symonds Street to the Langham to meet up with mom and Gianna by the pool. The weather was not as beautiful as it has been every other day this week but all I wanted to do was take a nap, and hopefully get a little sun. Last night I did not sleep much better and ended up doing laundry at 3am so I did not go to bed until 6am. My sleeping patterns have been very strange. The pool at the hotel was located on the second floor and was absolutely beautiful, and there weren’t a lot of people there so it was peaceful and quiet. 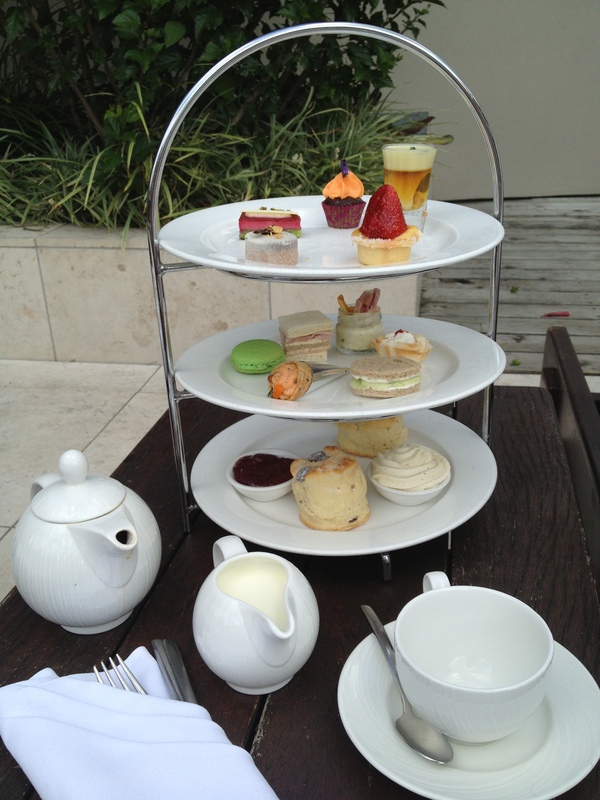 For an afternoon snack we enjoyed high-tea on the pool deck and chatted about our weekend plans in Sydney. Around 2pm the sun was in full boom and it got so hot that we all had to relax in the pool. We stayed out for a couple more hours and then got ready for dinner in Parnell. Tonight we went to Non Solo Pizza, a fine Italian Restaurant on Parnell Road. The restaurant was beautiful and the meal was delicious. It was the first time I had a proper pasta dish since I have been home, I was very happy and satisfied. 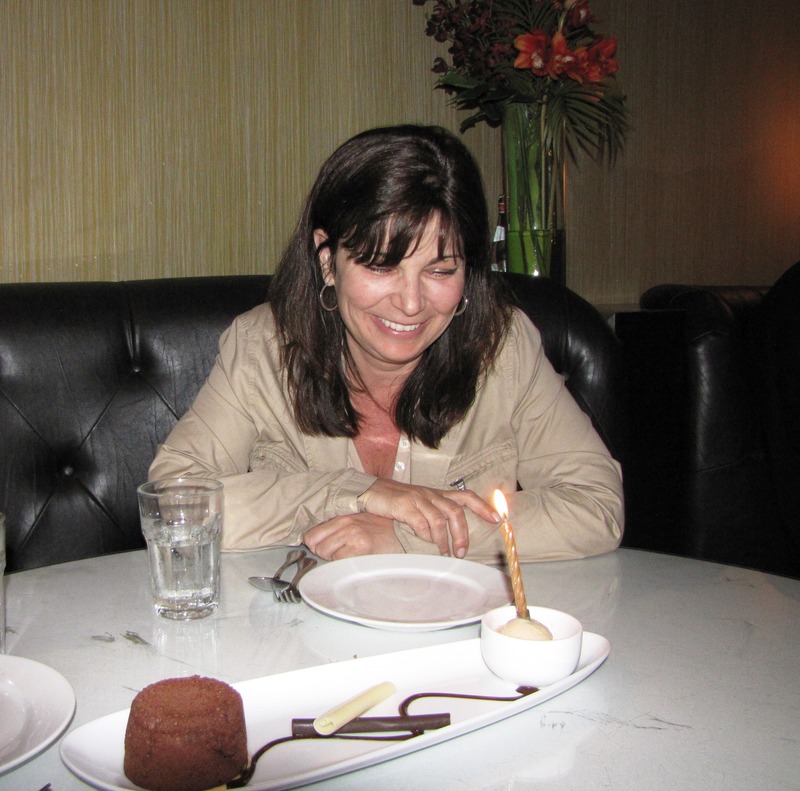 After surprising mom with a cake and singing happy birthday, we enjoyed our dessert and then headed home. Tonight we all got to bed early because we need to leave for the airport at 3am tomorrow! Since I have been in New Zealand I have had a lot of trouble sleeping but this week was by far the worst. Not falling asleep until 1am and then waking up at 5am has been taking a toll on my body. Mom and Gianna were jet-lagged so by 6am we were all wide awake and decided to go down for breakfast. The breakfast buffet was one of the best I have ever seen; anything that has a chocolate fountain is pretty awesome. I also tried eggs Benedict for the first time and am now obsessed. After breakfast Gianna went back to bed and mom decided to come back to Parnell with me to see where I live. We took the inner link from K’Rd to Parnell and a trip that should have taken 10 minutes without traffic took 45. When we got back to my flat, I showered and got ready for the exciting day ahead of me. When I was ready to go we walked to the Uni through the domain and at Symonds Street I left mom for class. At noon I met mom and Gianna at their hotel, left my belongings and we took a taxi down to Queen Street to catch the 12:30 ferry to Waiheke Island. The ferry to Waiheke was about 40 minutes long and when we were pulling up to the small island I got very excited because everything about it was picturesque. Waiheke Island is a very small island filled with vineyards that produce some of the best New Zealand wines. We were taking the Wine on Waiheke tour which would take us to three vineyards on the island. Our first stop was Mudbrick Vineyard and Restaurant. We walked around the vineyard and learned about its history and the different wines the vineyard produces. We tried three wines: a 2012 Chardonnay, a 2012 Syrah and a 2010 Merlot, and Carbernet Sauvignon blend. The restaurant at Mudbrick looked like fine dining and in the summer the vineyard has a wedding every day; it was absolutely beautiful. After an hour at Mudbrick we loaded the bus and were off to Glodies Wines. A couple of weeks ago I attended a Goldies Wines tasting at the University of Auckland so I was very excited to visit this vineyard. The tasting room was a little bit of a disappointment but here we were given different cheeses, breads, olive oils and chocolates to complement the wines we were tasting. After our tasting we were encouraged to walk around the land and to the top of a hill to get the spectacular view of the water. Our final, and my favorite stop was at Te Whau. Aside from the view like no other that I have seen before, this stop was my favorite because we tasted the same wine but from different years to better understand how the weather conditions affect the vintage. The wine we tried is called “The Point” and is a blend of Cabernet Sauvignon, Merlot, Cabernet Franc and Malbec. The woman who was leading the tasting was very educated on the wines and it was very enlightening to hear from her. She left us with the advice to look out for the 2013 vintage because this year had the best growing conditions and it will be a great wine to hold on too. After we had tasted a variety of years from 2009-2012 we went out to the balcony to admire the view. We made it back to the ferry just as it was about to pull away and were relieved that we were not left behind. When we got back to Auckland I was very set on having dinner in the Viaduct so I took mom and Gianna to the restaurant Soul. It was beautiful eating dinner overlooking the Harbour and the food was great. After dinner we made our way back to The Langham and called it a night. After a very boring day of classes I was looking forward to being done at 4pm. After class I walked over to the ferry building and hopped on the 4:30pm ferry to Devonport to meet Mom and Gianna for dinner. When I arrived Mom and Gianna were not back from their tour yet so I spent some time exploring the town and practicing my new photography skills. When I meet up with them at 5 we still had an hour before our dinner reservation so we walked down to the beach and relaxed while looking out on the sailboats. They filled me in on their day and I was excited to hear them talk about the New Zealand beauty I feel in love with a month and a half ago. At 6pm we walked over to the Esplanade Hotel, which is in the heart of Devonport across from the ferry building, and were ready to enjoy a well-deserved meal. We had the best table in the restaurant, and it was a very quaint and enjoyable meal. After dinner we went back to Auckland and before going back to the hotel we stopped at an ice cream store so Mom and Gianna could try Hokey Pokey. All three of us were in agreement that chocolate would have been much better.